Justine's Cardmaking: Marilyn Monroe Quote Card - Just for Fun! 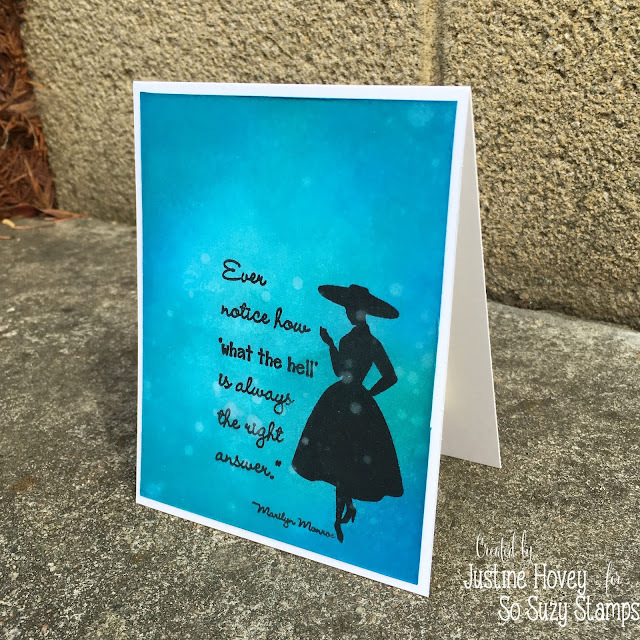 Marilyn Monroe Quote Card - Just for Fun! today I'm simply featuring a card with no video tutorial. My camera stopped filming during the creation so I thought I would share this anyway even though there is no tutorial. I used Tumbled Glass, Broken China, Peacock Feathers and Mermaid Lagoon (just around the edges) to create this card. You will also notice this is one stamp but they are stamped closer together than the original image because I stamped the sentiment and the solid image separately.